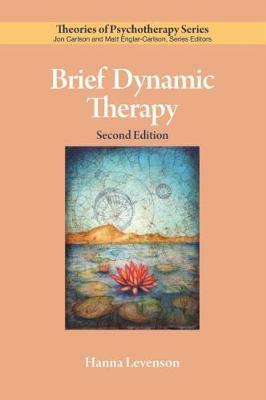 Brief dynamic therapy is a time-efficient treatment in which the therapist maintains a focus on specific client issues and goals, all within a basic psychodynamic framework. Common characteristics of these approaches include time management, defined focus, circumscribed goals, active therapist participation, rapid assessment, prompt intervention, an awareness of unconscious processes, and techniques that quickly foster a strong alliance with the client. This concise volume focuses largely on one popular model in particular: time-limited dynamic psychotherapy (TLDP). TLDP is an integrative approach that uses techniques from attachment theory, interpersonal neurobiology, affective-experiential learning, and systems orientations to help clients with long-standing, dysfunctional ways of relating to others. The author explores this integrative, culturally-sensitive approach, its theory, history, the therapy process, primary change mechanisms, empirical basis, and future developments.This revised edition includes updated case examples, as well as a wealth of new research findings - including process-outcome studies - that affirm treatment effectiveness, explain how alliance ruptures are repaired, and new research on the ""reconsolidation process"" that demonstrates how sudden, dramatic change happens in brief dynamic therapy.